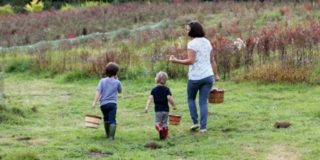 Giving Back and Bee-ing Better. 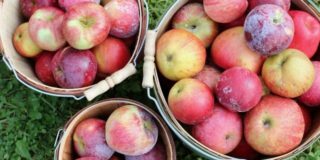 One of the things I love most about the holiday season is that, despite commercialism and coupon codes everywhere you look, there is also so much generosity and charitable giving this time of year. Cullen’s preschool classroom did a giving wreath, Casey’s work collected toys at their annual holiday dinner, and I see giving opportunities pretty much everywhere we go. I wrote about these during a Babble roundup several years ago, and we have been using them ever since. I even used their bitty bee diapers on Graham as a tiny newborn. Our mission for Threads 4 Thought was to create great fashion that evoked a lifestyle of shared responsibility for each other & our world. We continue to work towards that mission every day … using sustainable materials to make our products, working with factories that respect their employees and treat them humanely and fairly. We are honored to work closely with two highly effective charities that we have worked with since we founded the Threads – the International Rescue Committee (the IRC) and the Natural Resources Defense Council (NRDC). We’ve partnered with PBS KIDS to offer presents — plush animals, wooden trucks, green toys race cars and wee wear — with a purpose. 100% of the net proceeds PBS KIDS receives from your purchase of these toys supports its mission: building knowledge, critical thinking, imagination and curiosity to empower children for success. Plus, we’re donating 1% of total sales from these toys (up to $25,000) to Whole Kids Foundation®, dedicated to helping kids eat better — and enjoy it! In 2006, TOMS founder Blake Mycoskie befriended children in a village in Argentina and saw that they didn’t have adequate shoes to protect their feet. Wanting to help, he created TOMS Shoes, a company that would match every pair of shoes purchased with a pair of new shoes for a child in need. One for One.® In 2011, the One for One model was expanded and TOMS Eyewear was launched. With every pair purchased, TOMS helps restore sight to a person in need. As much as, of course, I like picking out new shoes for the boys and myself, I also love knowing that for each pair we buy, a similar pair goes to a child in need. It is so easy to get caught up in the day to day drama of our lives – skipped naps, marker on the wall, etc. – and to forget that there are children in the world who literally have no shoes. And last but certainly not least, a new company we’re shopping this year – Bombas socks! 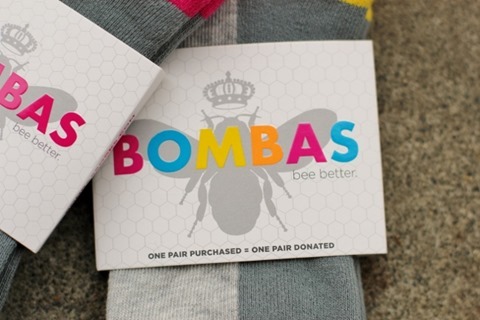 Their “bee better” mission means that for every pair of socks that are purchased, another pair is donated to someone without access to clean socks. Did you know that socks are the number one requested item in homeless shelters? For most of us, myself included, it’s hard to imagine going without something as simple as having something clean and warm on our feet. Partnering with the Hannah’s Socks organization, Bombas has already helped donate over 150,000 socks since launching in October 2013 – pretty incredible! You can see more about their donations and impact here. 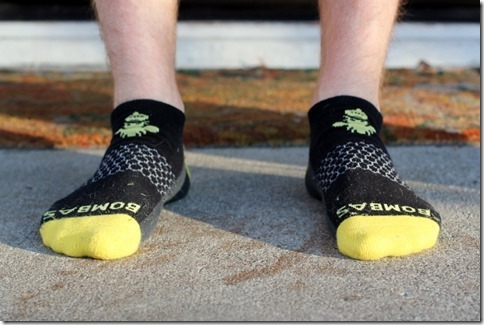 Stay Up Technology – is there anything more uncomfortable than saggy socks?? The calf style is guaranteed to stay up! Blister Tab – A tiny ankle cushion that sits directly where your shoe hits your leg to prevent painful rubbing and chafing. 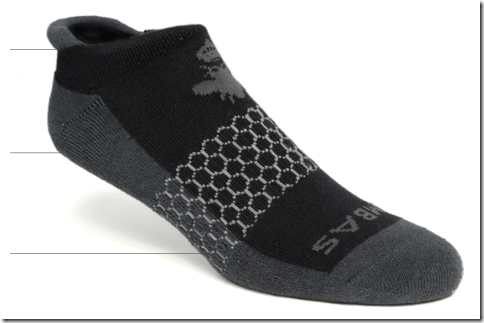 Invisitoe – We got rid of the annoying bump that runs across the toes on most socks. We hand link our socks so you don’t feel a thing. Y-Stitched Heel – A Y-shaped stitch creates a natural cup around your heel, so your sock stays in place. Long Staple Pima Cotton – The most comfortable socks you’ll ever wear start with the most comfortable sock fabric known to mankind: Long Staple Pima Cotton. It’s warm in the winter, cool in the summer, with natural moisture wicking properties. Cullen (at age three) is actually still a bit too small for his, but I’ve tucked them into his drawer for a year or so from now when he’s getting into things like soccer and little league (omg! ), and we’d like to avoid things like painful blisters! I haven’t been doing much running these days, so I’ve been wearing mine for more leisure activities and just day to day. 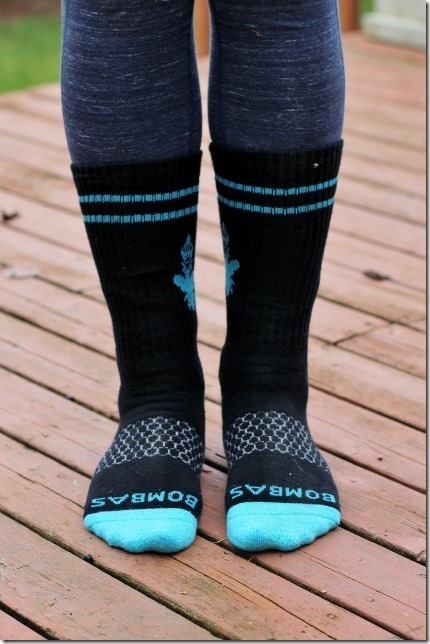 They are hands down my favorite socks to wear over leggings and under boots! The calf style has just enough tension to hold jeans or leggings in place and avoid all that slipping around (without being too tight!). And they are seriously adorable! But of all of us who tried these, Casey was by far the most excited. He is forever on the quest for the perfect workout socks, and he’s honestly pretty picky. Did I tell you guys he’s training for the LA Marathon!? He’s really excited about it, and I’m super pumped to support him and go cheer for him next March. In order to get ready he’d been doing base training for a while, and just started officially training a few weeks ago. For his last several training runs, he took Bombas out for a spin, and came back with nothing but good things to say! Here’s a look at how the ankle socks fit within running shoes – you can see that ankle tab that prevents chafing and rubbing. 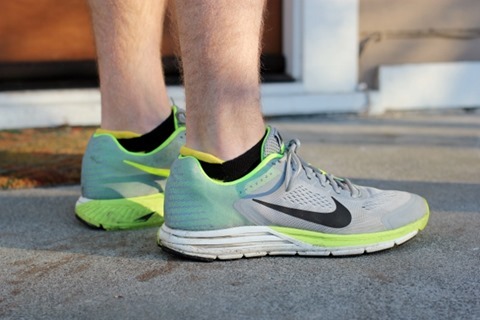 He headed out for a sixteen mile run right after this, and reported back that the socks felt great and that he “didn’t even notice them” – which is pretty much the highest compliment for running socks, right? And finally, just to touch on their charitable mission once more, you might be thinking – but do needy or homeless people really need fancy athletic socks? And the answer is, of course not. That’s why the folks at Bombas worked closely with charity partners to design a special sock that specifically meets the needs of people without access to clean socks each day. 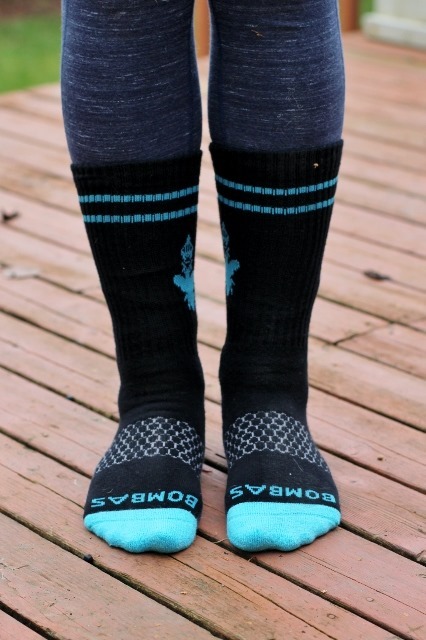 The donated socks feature feature reinforced seams (for greater durability and longer lifespan), anti-microbial treatment (to prevent growth of fungus and requiring less washing), and darer colors (to show less visible wear). A pretty cool company with a very worth cause. For those of you who are interested in trying them yourselves or giving them as gifts this year (perfect stocking stuffers! ), Bombas is offering a 20% discount to the first 100 readers to use the code: DAILYGARNISH! Discount applies to your first order of any size. Tis the season of giving, and most importantly – giving back! This post was sponsored by Bombas. Thanks for your continued support of Daily Garnish! 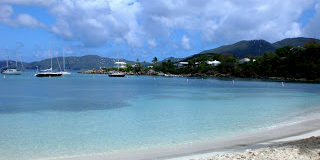 « Previous PostOur Holiday Home. Next Post » Friday Fitness Fun. The ankle tab is genius!! I’m going to give these a try! Thanks! LOVE!! Thank you so much! I am seriously obsessed with socks and cannot wait to try these! Does that mean the socks that get donated to “needy people” aren’t as nice as the socks you were gifted? And if so, is that because “needy people” don’t work out or deserve nice things? Do you have a pic of the socks that actually get donated? No, it means that they are nice socks that are created for a different purpose, to best suit the needs of people who will be using them. If you read the whole post, you’ll see the picture of the black socks that are donated at the bottom. I think it’s actually really wonderful they created a product to best suit those who need it. Yikes, Jamie. Mama always said think before you speak! 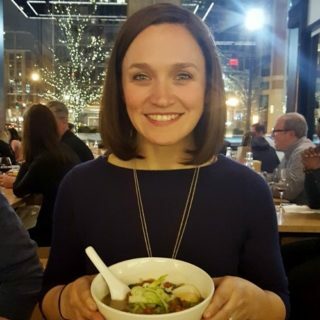 Thank you for the introduction to Threads 4 Thought and Bombas! Omg Ive been wanting to try these socks for a while now! So happy you reviewed them and I’ll be buying these tonight. Thank you! 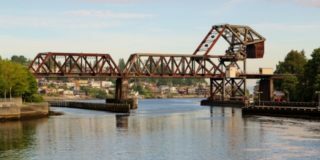 Did you take down a bunch of your parenting posts? I have 2 young kids (I’m a year behind you), and in the past, I’ve loved reading your old monthly updates as a reference point. I see that a bunch are no longer available? e.g. Cullen’s 4 month, 5 month, etc. Could you please clarify? Thanks a lot! 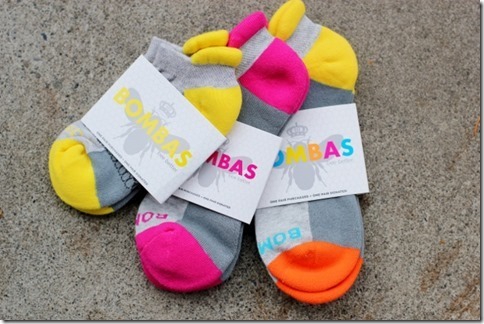 Pingback: Daily Garnish » Blog Archive » Back to School With Bombas.